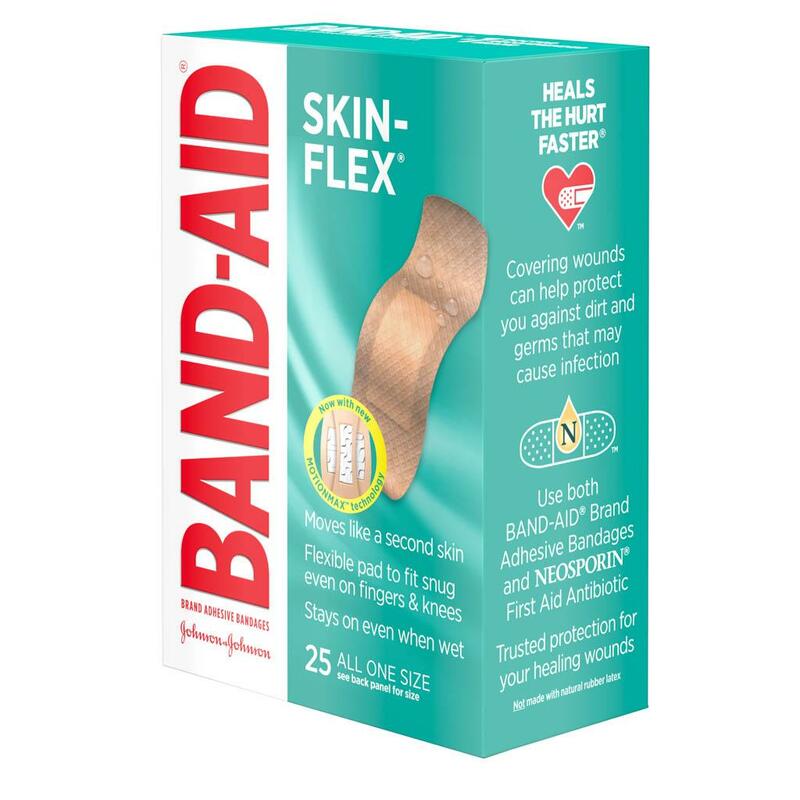 BAND-AID® Brand SKIN-FLEX® Bandages are the only BAND-AID® Brand Adhesive Bandage designed for lasting durability and exceptional comfort. These flexible bandages dry almost instantly. With new MOTIONMAX™ Technology, the bandages expand and contract for the ultimate skin-like fit. These sterile bandages have a four-sided seal, and provide a 24-hour hold that lasts through handwashing and withstands damage and frays. 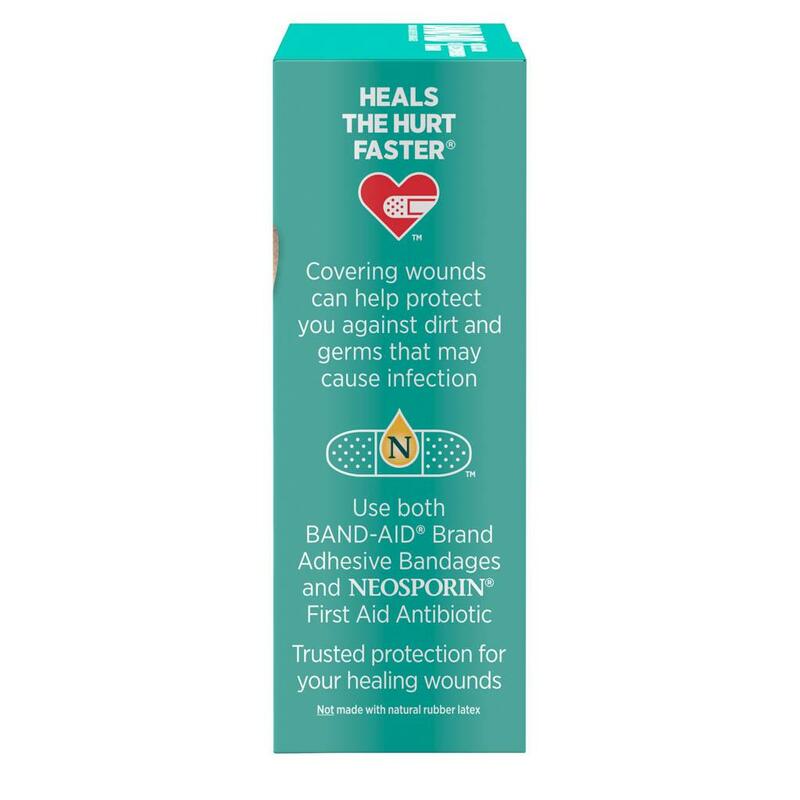 The QUILT-AID® Comfort Pad on each BAND-AID® Brand SKIN-FLEX® Bandage wicks away blood and fluids without sticking to wounds, while lightweight cross-fibers stretch and flex to mold to your body. 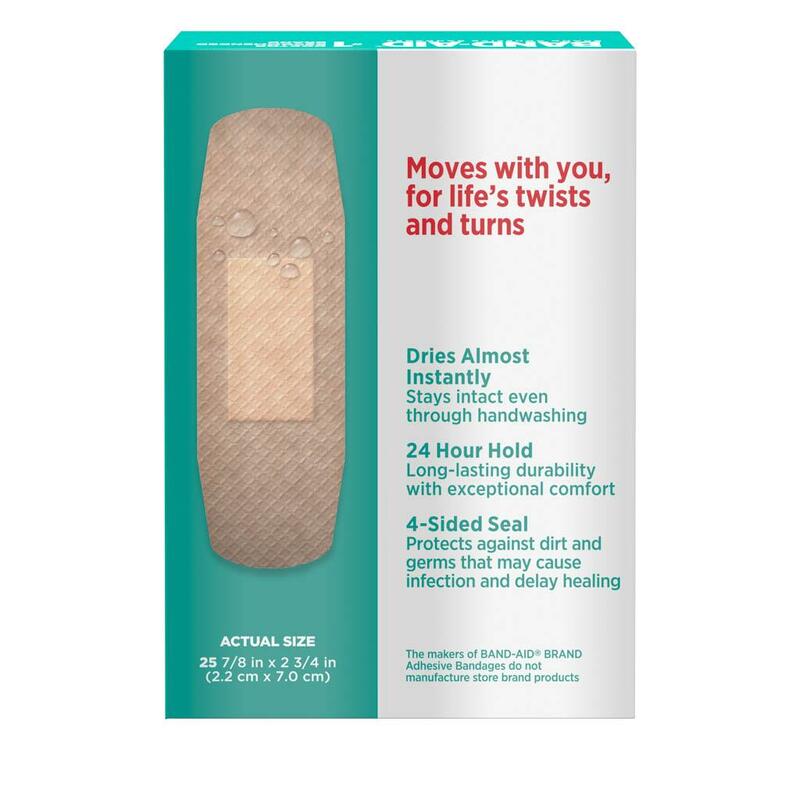 This package contains 25 single-sized flexible adhesive bandages. Band-Aid skinflex is so comfortable is stretchable it acts as a second skin it has a flexible pads and it's nuts to fit. It stays on when wet cuz I wash dishes and it stayed on and is comfortable is easy to use I got cut from a nice and I use it immediately and it protected it I wash my hands full five times and it did not come off and then I love that is didn't get anything inside it didn't get dirt inside germs are didn't get infected. I would recommend to family and friends this was my eyes review in a free sample. 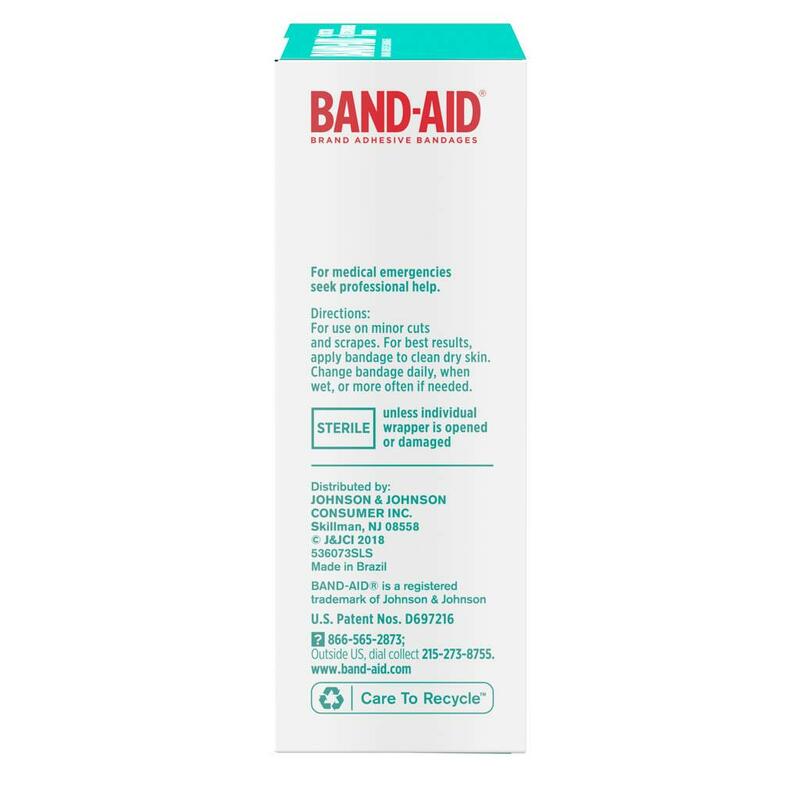 I used the band-aid on a cut on my foot. It stayed even while taking my shoes off and on throughout the day.